Life never stops happening. I might as well keep my seat belt on. It’s a good thing, I suppose. I’ve been listening to Caroline Myss this morning on the importance of words. I’m watching my vocabulary – how I talk. I do anyways, especially here. I don’t like to talk about ‘problems’ or ‘trouble’, not without countering it with solutions and hope. I love Alice in Wonderland but I don’t want to fall down that rabbit hole without an escape route. I’m darn tired now, spending the morning baking bread. Now, I’m sitting with my tea. Relief! I’ve just down two gingersnaps. Cookies help with everything. The furnace man has just left a little while ago. We have heat again. There are things we never learn to do even when we know better – like changing the furnace filter regularly. Why did we think our house was so clean with a dog that SHEDS. So we pay the price of a new motor for the fan. Good thing it’s warm today. -9 C instead of – 30+C of last week. Good thing we have another furnace for the downstairs, plus a fireplace. But it was still cool. It made me think of how spoiled we are. We were cold with an inside room temperature of 60 degrees F. I can remember winters in China when I was a child. There was no heating, never mind central. We wore layers of clothes and then a jacket over top. That’s one reason I have a very big bad scar on my left arm. I had hot syrup spilled on it when I was little. I had so many layers of clothes on, it was difficult to extricate me from the hot sticky mess. Another reason was doctors were not a commonality. They were a last resort of which I did need and got. I am scarred but I’m here. Both my arms are functional. No mobility issues. I have learned to mourn and let go my losses, but celebrate what I have. No use crying over spilt milk. So much wisdom in those old sayings, eh? My tea is done. I feel so much better. I think I will have another cup. My aches and pains are less today. My oven is on steam clean. I don’t want to leave the house yet. Sheba will have to wait for her walk. All in good time. 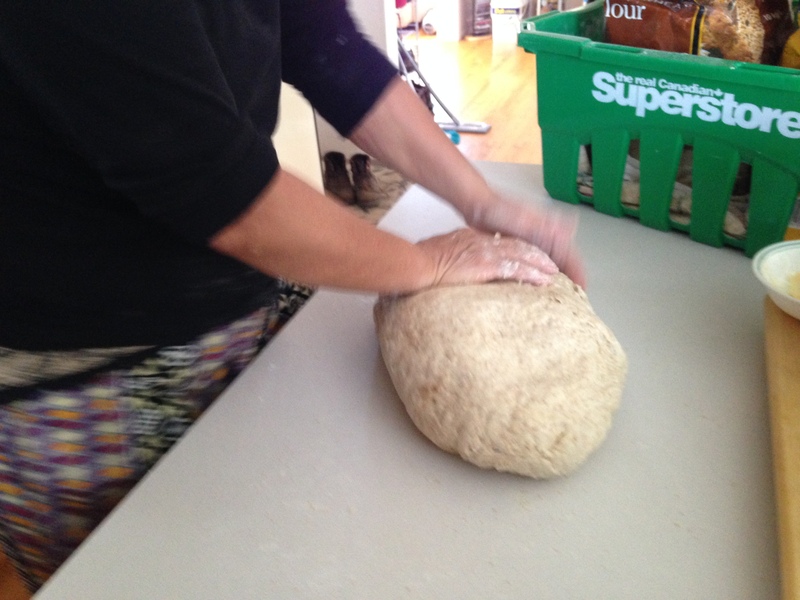 Talking about which – making bread is about all I’ve got done today. Well, the dishes, pots, pans and all the other goodies, too. Now that I got the oven going, there’s those racks. No panic though. There’s time. Now there’s heat. Smile. One. Thing. At. A. Time. But first another cup of tea. This entry was posted in Uncategorized and tagged cookies make everything better, gratitude, importance of words, letting go, life, making bread, vocabulary, writing. Bookmark the permalink. Hello Lily. Will have to read more of your posts. I have an interest in all things/people Chinese as I lived in China for a while and am connected with some of my students still. I used to love making bread – but do little cooking now. Life happens, we just have to go with the flow. I like your style. I agree that we are very spoiled with our comforts of today. I might just sit back and enjoy that cup of tea with you. Thank you! I like the company.